Mr. Justice MianGul Hassan Aurangzeb in his judgment has decided the issue of resignations under Punjab Local Government Act and exercise of review power not conferred by law in Writ Petition No. 146 of 2019. 1. Through the instant writ petition, the petitioners impugn the order dated 18.12.2018, passed by the Election Commission of Pakistan (respondent No.1), holding that the resignations submitted by the petitioners “shall be considered as final”. 2. The record shows that in the local government elections held in the Province of the Punjab in the year 2015, petitioner No.1 (Zahid Naseem) was elected as Chairman, Union Council No.52, District Council Gujranwala; petitioner No.2 (Farooq Azam Khan) was elected as Chairman, Union Council No.46 (Chak No.40/ML), District Council Bhakkar; petitioner No.3 (Naeem Ijaz Chaudhary) was elected as Chairman, Union Council No.48, District Council Vehari; and petitioner No.4 (Mehr Aashiq Hussain) was elected as (Chairman Union Council No.17, Doburji Aiyan Muncipal Corporation Sialkot. 3. It is an admitted position that the petitioners had submitted their nomination forms for contesting in the general elections for the National Assembly/ Provincial Assembly in the year 2018. Since Section 28 of the Punjab Local Government Act, 2013 (“Punjab L.G. Act”) bars the Chairman of a Union Council from contesting elections for any other political office without resigning from his office, the petitioners had admittedly submitted their resignations so as to enable them to contest in the general elections. The Provincial Election Commissioner (Punjab) had forwarded attested copies of the petitioners‟ resignations to respondent No.1 so that the seats against which the petitioners had been elected as Chairmen of Union Councils could be declared as vacant. All the petitioners were defeated in the general elections. In order to retain their Chairmanship of the Union Councils, the petitioners applied for the withdrawal of their resignations. 4. Vide order dated 24.09.2018, respondent No.1 allowed the petitioners‟ applications for the withdrawal of their resignations. Subsequently, vide order dated 29.11.2018, respondent No.1 directed notices to be issued to the petitioners to show cause as to why “their resignations be not considered final and as to why they be not de-notified”. Vide impugned order dated 18.12.2018, respondent No.1 reviewed its earlier order dated 24.09.2018 (whereby the petitioners‟ applications for the withdrawal of their resignations were allowed by respondent No.1) and it was held that “[a]ll the resignations tendered by the respondents from the respective posts shall be considered final” and they be de-notified. The said order dated 18.12.2018 has been impugned by the petitioners in the instant writ petition. 5. Learned counsel for the petitioners, after narrating the facts leading to the filing of the instant petition, submitted that respondent No.1 had no jurisdiction to review its earlier order dated 24.09.2018; that the right of review is a substantive right and has to be specifically conferred by Statute; that the impugned order dated 18.12.2018 is without jurisdiction; that valuable rights were created in the petitioners‟ favour on the basis of respondent No.1‟s order dated 24.09.2018 which was reviewed, vide respondent No.1‟s order dated 18.12.2018; that Section 34(2) of the Punjab L.G. 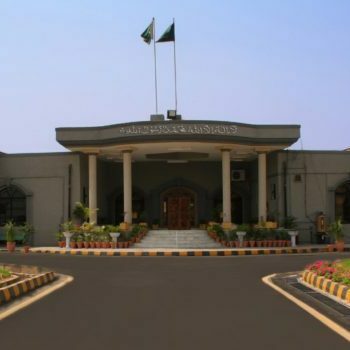 Act could not be given an overriding effect over the provisions of the Election Act, 2017; that the petitioners did not suffer from any of the disqualifications under Article 62 or 63 of the Constitution; that the Local Government Statutes of Provinces other than the Province of the Punjab do not contain any prohibition of the nature as contained in Section 28 of the Punjab L.G. Act; that the petitioners had withdrawn their resignations before they were accepted; and that the procedure provided in the Punjab Local Governments (Resignation) Rules, 2016, had not been followed in accepting the petitioners‟ resignations. In making his submissions, learned counsel for the petitioners placed reliance on the judgment dated 25.06.2018, passed by the Hon’ble Lahore High Court in Election Appeal No.6/2018 and order dated 25.06.2018, passed in Election Appeal No.15/2018 and connected matters. Learned counsel for the petitioners prayed for the writ petition to be allowed in terms of the relief sought therein. 6. On the other hand, learned counsel for respondent No.1 submitted that respondent No.1‟s earlier order dated 24.09.2018 was based on the misconception that the judgment dated 25.06.2018, passed by the Hon’ble Lahore High Court/Appellate Tribunal had been passed in exercise of jurisdiction under Article 199 of the Constitution; that in fact the said judgment was passed by the Hon’ble Lahore High Court sitting as an Appellate Tribunal; that as an Appellate Tribunal, the Hon’ble Lahore High Court could not ignore the mandate of Section 28 of the Punjab L.G. Act; and that since respondent No.1‟s earlier order dated 24.09.2018 was not just void but per incuriam, respondent No.1 was well within its rights to have reviewed the same through the impugned order. Learned counsel for respondent No.1 prayed for the writ petition to be dismissed. 7. I have heard the contentions of the learned counsel for the contesting parties and have perused the record with their able assistance. 8. The facts leading to the filing of the instant petition have been set out in sufficient details in paragraphs 2 to 4 above and need not be recapitulated. 9. Since the petitioners’ claim that vested rights had been created in their favour with the passing of respondent No.1’s order dated 24.09.2018, whereby their applications for the withdrawal of their resignations were allowed, some recital is necessary of the circumstances and the basis on which the said order was passed. This entry was posted in Case Laws, Chairman, Constitutional Law, Delegated Legislation, Deputy Mayor, Election, Election Commission, Islamabad High Court, Knowledge - Constitutional Law, Litigation & Arbitration, Local Government, Mayor, Per Incuriam - Bad Law, Solutions - Constitutional Law, Vice Chairman. Bookmark the permalink.